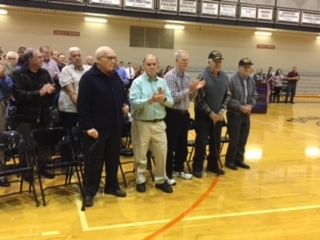 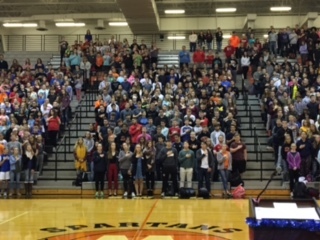 This morning, the high school and middle school students honored our Veterans with a standing ovation as they marched their way into the gymnasium. 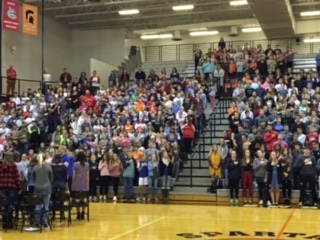 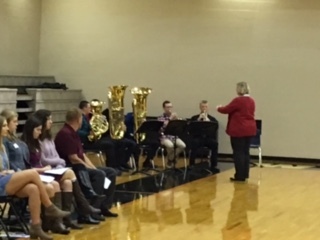 The goosebump kind of moment was matched by the choir and brass band ensemble as they performed The National Anthem, America the Beautiful, and The Armed Forces Salute, as well as our student council's leading of the Pledge of Allegiance. 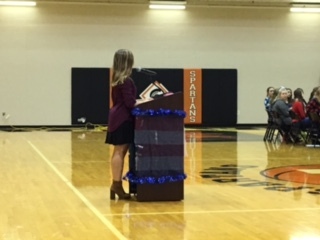 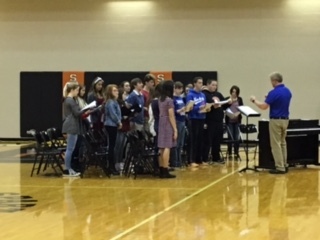 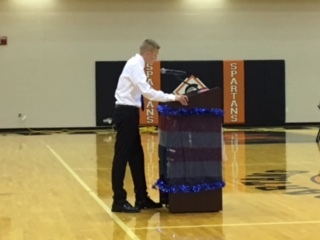 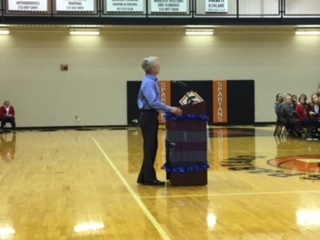 Thank you to the high school and middle school student council members who all worked to make this event a memorable one with the planning coordination by Scott Stiles, Kelly Miller, and Jessica Harvey. 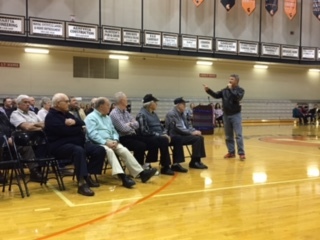 Among the special highlights of the morning was our guest speaker, Sean Parry, and the recognition of our World War II Veterans who have a special reserved seating in the front row. 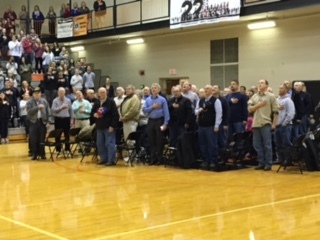 We are truly honored and humbled by all of our Veteran's presence with us, and their dedication to serving their country.